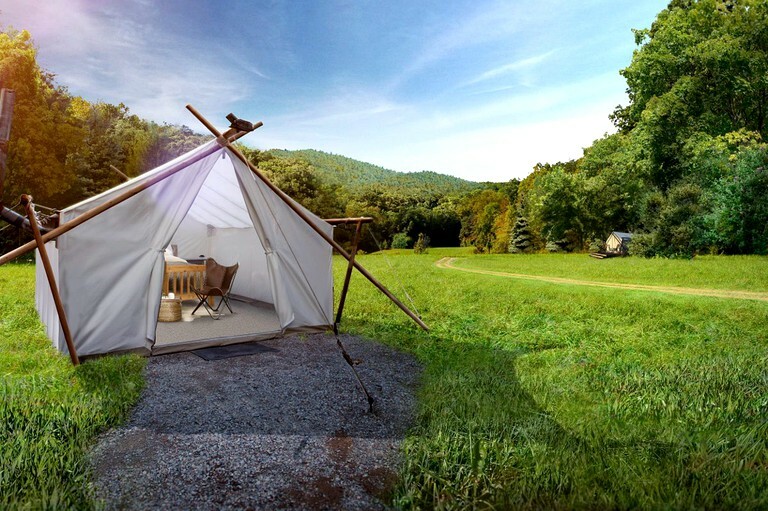 This charming safari tent is located at a glamping site near Pigeon Forge, Tennessee, and can accommodate up to four guests for a Smoky Mountains getaway full of adventure and reconnection to the great outdoors. 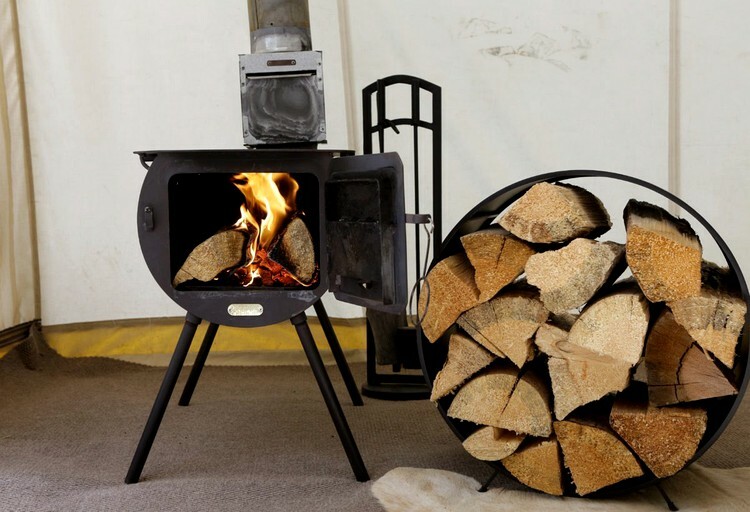 Inside the tent, guests will find a king-size bed, a pair of chairs, and a wood-burning stove. One or two additional camping cots can be provided for groups of three or four as well. Near the tent, guests will find a shared bathhouse containing six individual bathrooms, each of which is completely private and contains a flushing toilet, a sink, and a shower with hot water. Luxurious linen, pillows, blankets, towels, shampoo, and body wash are provided.